Product Origin: Peru Our cacao powder are of Creole variety, and from Peru. Creole variety is called "The Queen of Cacao" as it produces the highest grade beans. Creole cacao is an ancient variety, non-hybrid, produces "fine and flavor" beans, are the scarcest, most expensive and the most highly regarded for their complex flavour and aroma. Only a fraction of world cocoa production comes from Creole trees, as they are delicate, low producers and susceptible to certain disease. 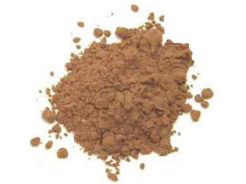 For more information, please visit Chocolate Powder or Cacao Powder information page.